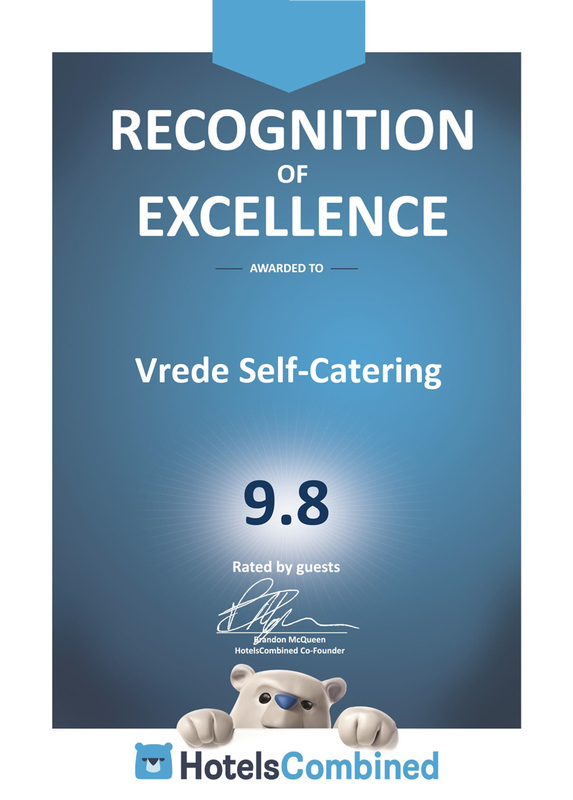 Thank you to all our guests and to my team, your commendations make us better so we can greatly enhance future guests’ experiences. “Appreciation is a wonderful thing. It makes what is excellent in others belong to us as well.” – Voltaire. 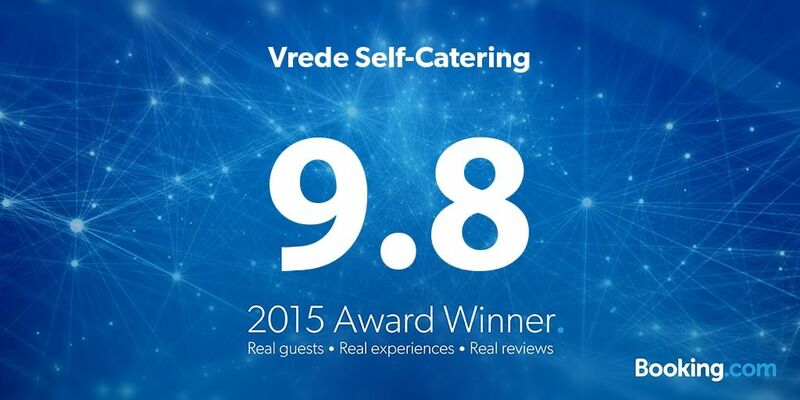 Booking.com just announced our review score for 2015. 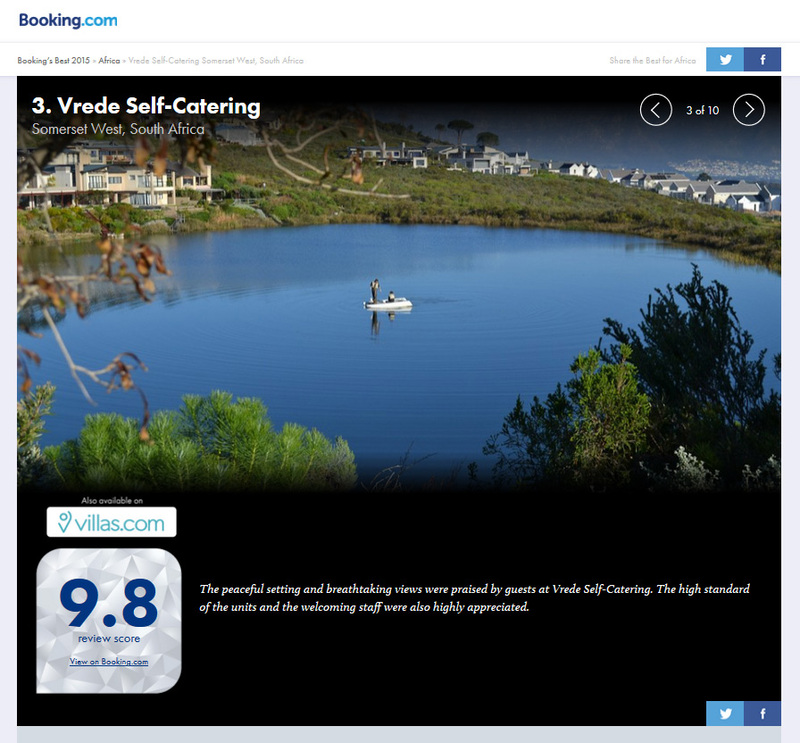 We scored 9,8 out of 10 from all our @bookingcom guests making Vrede Self Catering a 2015 Award Winner, a big thankyou to all our #guestsloveus: your accolades make us better so we can greatly enhance future guests’ experiences. as chosen by our guests! 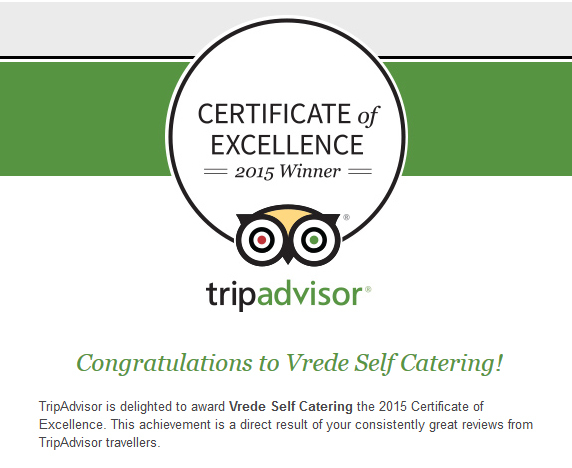 A big thankyou to all our guests, we could not have done it without you!